Steve’s Real food is a pioneer in raw food for pets and easy earth friendly packaging. People appreciate the convenience of Steve’s easy to feed frozen nuggets and pets benefit from their ideal balance of fresh meat, fruits & veggies. We’re pleased to announce that Steve’s is upping the ante with several easy to feed goats milk supplements brilliantly designed to help pet owners address a range of health concerns. This great new collection is named Enhance. Steve’s Enhance does exactly what it says. 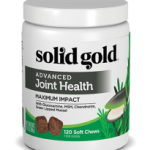 It’s the perfect enhancement to any meal including raw, dry and wet food diets. 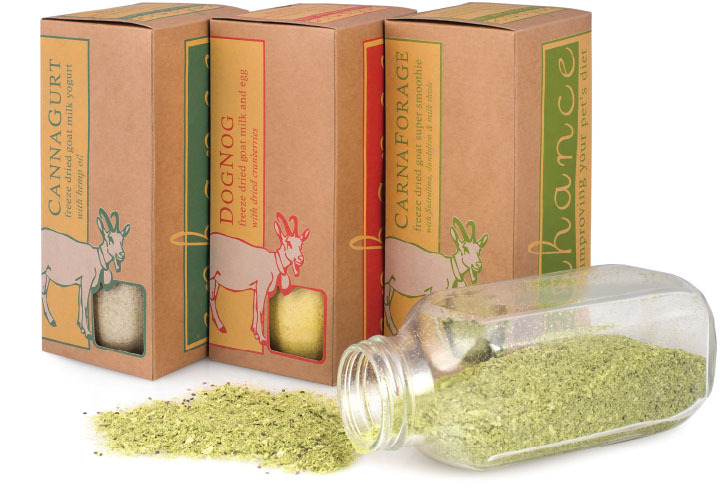 Their three scientifically targeted formulas are each designed to optimize different aspects of an animals well-being. Enhance starts off as a freeze dried powder so it doesn’t take up freezer space like other raw products. Simply add water! It doesn’t require any refrigeration until activated and comes with a cute, compact reusable milk bottle for storage. Steve’s isn’t only great at convenience and catering to carnivorous diets. They’re also pretty keen on keeping their operation environmentally friendly. Leading the industry with their dedication to goodness in packaging and production. Steve’s Real Food uses hydroelectric and wind power in their plant and their packaging is 100% recycled, recyclable and BPA free. All of their packaging is also printed with water based inks. Which brings us to the packaging for Steve’s Enhanced, we love it! We think its super charming, modern, earthy and original. This product will definitely stand out on the shelves. 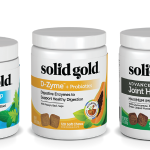 Whether its placed in the supplements section or near Steve’s other great products in the frozen! We love the goat and the little window to the colorful powder supplement. The reusable glass bottle is especially awesome. Totally recyclable after pretty much unlimited uses, we think it’s a great solution for storage and delivery of the product.